Media Designs is a graphic design company specializing in large-scale graphics for fleets of trucks, cars, vans and more. David Bavati, owner/operator, has been designing truck graphics for the past 22 years and is experienced in the process of designing graphics for the three-dimensional surface of a vehicle. If you give us a rough idea of what you have in mind, we will create a visual image of your idea. If you already have a company logo we will incorporate it in the design. If you don't have a logo we will create one for you. We will provide photo images for your design and shoot professional photos of your products if you don't already have them. You tell us the type, make and size of your vehicle and we go to work. Within a couple of days you will be receiving e-mails with exciting designs showing what your truck will look like, and then we welcome your input. The creative process comes from us but the final decision is yours and we will make changes as per your taste and your corporate demands. This process could take a few days, or weeks, or more - no limit !! - until we create a design that meets your needs and demands. When the design is completed to your satisfaction we will burn it onto a CD and send copies to you and to your printer or sign company, which will apply the decals on your truck. We will be available to answer any questions and provide assistance to your local sign company or printers. Suggested drafts for customer, in progress. Customers are presented with several options and design ideas and choose the one that will work best for their corporate image. We then develop it to a finished product. The explosion of information in our society has reinforced the value of attention-grabbing 3D graphic design in every communication. At the same time, technology has revolutionized the ability to create 3D effects as optical illusions. Particularly in major cities like New York, 3D art designs on a fleet of trucks create visual solution to communications problem through a print media. These designs promote corporate identity for industries, companies, interactive design firms and corporate communications departments. If it is the streets of New York or the roads of Florida, your car truck or trailer will get noticed with 3D graphics designs in high resolution for outdoor cars and trucks. Get your company noticed. We specialize in character creation and product design photos in much higher resolution, to create 3D photo-realistic designs visually indistinguishable from life at 600 DPI. Our designs are tailored to your specific corporate identity. 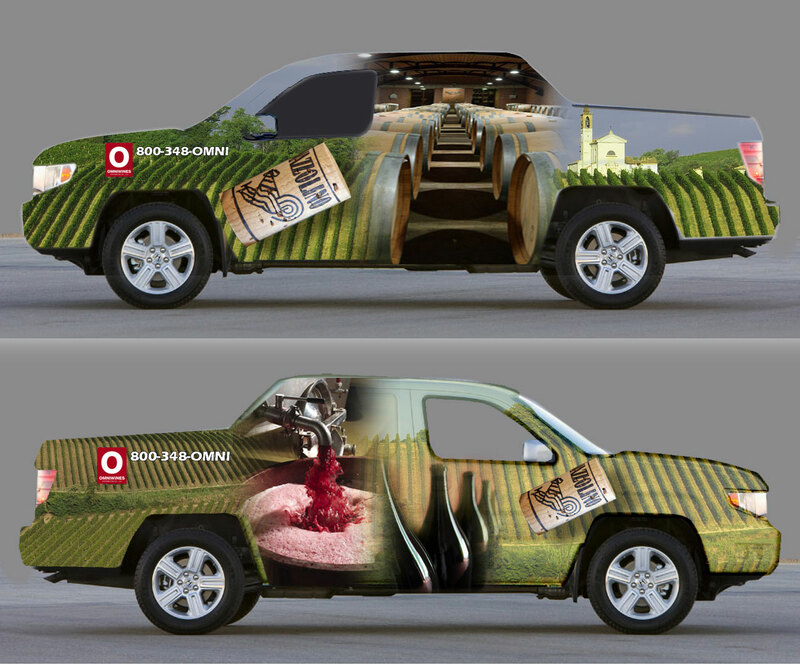 Wrapping your vehicle creates an outdoor billboard that is viewed by thousands of people a year. A smart 3D design will give your company the corporate identity which will separate you from the rest. Mobile billboard advertising is the most cost effective way to advertise. Mobile billboard signs cannot be ignored by the consumer as billboard trucks take your ad right to your target audience in traffic, on the streets of California or the sidewalks of New York and even on the highway. After all, who can miss a mobile billboard sign on a Billboard truck?billboard. California's and New York Mobile Billboards are street Blimps at street level where the target audience, customers, consumers, voters and whoever you are trying to reach lives and works! We have Mobile Billboards across the nation. Outdoor Advertising Magazine reported that "studies conducted by the Transportation Council of America (TCA) show that mobile billboards have an impressive 97% recall rate, virtually unheard of with most advertising mediums" and that "there is a greater need by advertisers to more accurately target a message to an increasingly mobile demographic target." Truck Wrap Graphics by David Bavati. Copyright © 2014. All Rights Reserved.